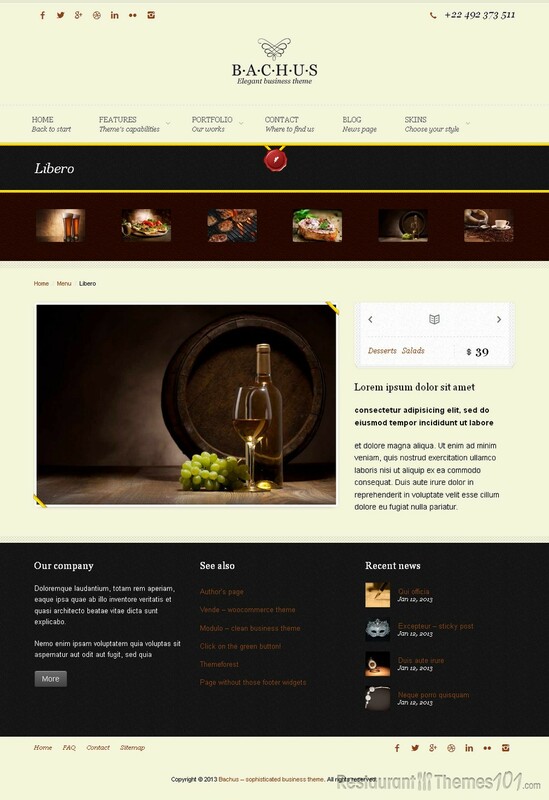 Bachus is a WordPress winery theme created by Synesthete and featured of ThemeForest. If you are looking for a sophisticated, elegant skin with numerous useful features and options to present your winery online in a stylish way, this is the right theme for you. Apart from looking extraordinary good, this theme is also very user friendly and it will only take few easy steps to set it up, as well as manage it further along. This theme was designed to help you promote your business in the best possible way. It was built with HTML5 & CSS3, it is extremely fast and everything about it is professionally created to the tiniest detail. The theme features two completely different skins you can choose from, and there are also two layouts available: wide and boxed, plus you will be given a custom width option. The theme looks splendid no matter what layout or skin you choose. It is very elegant and classy, your visitors will be pleased to browse your exquisite website, and they will like even more because everything is presented clearly so they won’t have to snoop around your website for ages not knowing where to click and what to expect. The theme has an inbuilt widget context allowing you to assign any widget to any post or page, even including archives, search, etc. The shortcodes generator is easy accessible in the visual editor. The portfolio and menu posts are based on custom post types so you can add your content any way you want to. Multiple images and videos are also supported on single portfolio and menu posts. A 2-6 column portfolio is featured, and left, right or dual sidebars layout is available. 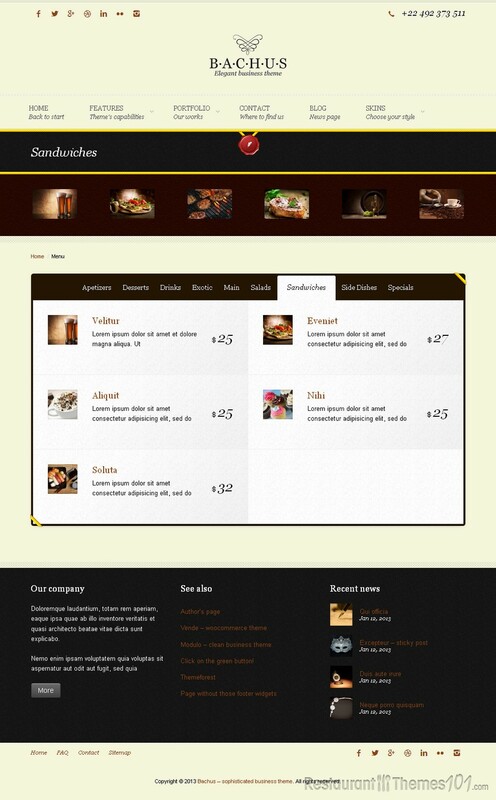 This theme is fully responsive and optimized for mobile devices. It will look pixel perfect no matter what device you or your visitors are using for viewing it, everything in the theme will automatically adjust to any screen size or resolution. It is also cross browser compatible, and it will fit any popular browser perfectly, including IE8, IE9, Firefox, Safari, Opera and Chrome.